Fully withdrawable technology in Motor Control Centers (MCC) offers many advantages, especially where malfunctions must be rectified without interrupting operation. Areas of application are for instance, processing industries e.g. materials handling, chemical industry or water treatment plants. - Easy __insertion and retraction of the fully withdrawable units. Unlike conventional plug-in technology, there is no need to overcome the mechanical resistance of plug contacts. - In case of any failure, the drawer can be disconnected by the contacting module and can be replaced without the need of any tool. - Power transmission with wear - free contacts in the contact module. - Individual withdrawable modules can be quickly exchanged or added during operation without needing to switch off the system. - Inserted withdrawable modules can be locked in the positions ''operation'',''test' and ''disconnected''. - Protection against incorrect operations by safe locking mechanisms. 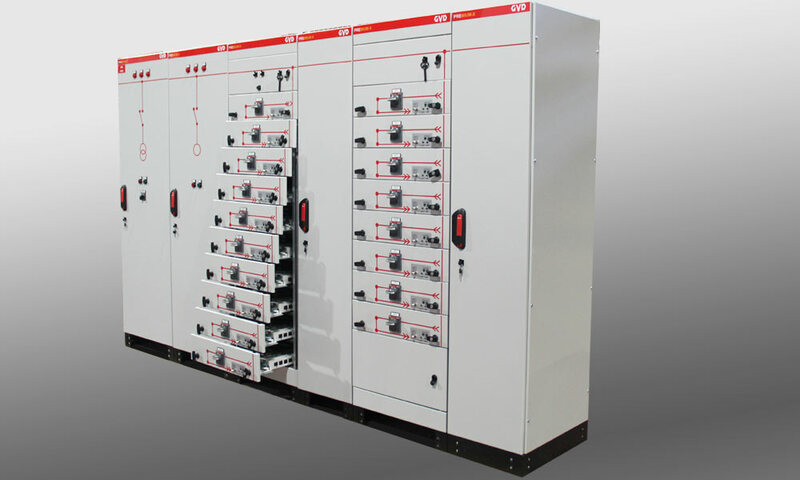 - Offers more cost-effective solutions due to compact contact modules.